Volume Discounts! Flat Rate Shipping! Please Select Accu-Zen from Z.. AgriKon from Ze.. DuroKon Frame It All HM Digital Hook And Grow Myco-Fusion, LL.. Zen-Tek from Ze.. Zenport Zenport Industr.. ZenUrban from Z..
Zenport Multi-Tool MFT106 Crescent Wrench 9-Function Multi-Tool with Case, this unique Multi-Function tool features nine functions including a crescent wrench. Comes with a carrying case that can be attached to a belt. This product was added to our catalog on Monday 06 December, 2010. Copyright © 2019 DuroKon. Powered by DuroKon. Specialty Horticulture Tools by Zenport Industries. Short on labor? 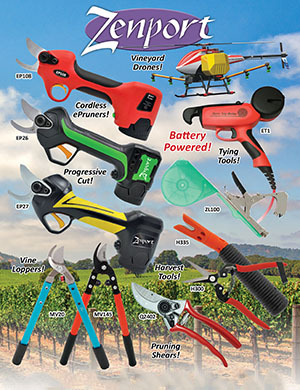 Do it yourself, buy a battery powered pruner!